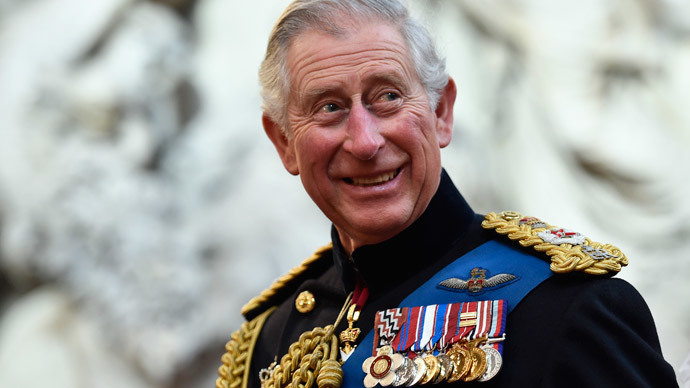 After a decade of establishment resistance, 16 judges and legal fees of £400,000 shouldered by the taxpayer, the secret correspondences of the heir to the throne intended to influence politicians have been made public. The royal interventions cover everything from badgers and herbal medicines through to the under resourcing of British soldiers in Iraq. RT looks at a snapshot of Prince Charles’ infamous ‘black spider’ letters. In 2005, and despite being a self-proclaimed lover of all things wild, the prince strongly backed a proposed badger cull over the course of a 17-letter exchange with then-Prime Minister Tony Blair. He did so on the grounds that the animals presented a tuberculosis risk to cattle, blasting anti-cull activists in the process. The heir, who is the honorary head of over 30 military units, clandestinely wrote to Blair warning that UK troops in Iraq were severely under resourced. “The aim of the Ministry of Defence and the Army's Air Corps to deploy this equipment globally is … being frustrated by the poor performance of the existing Lynx aircraft in high temperatures. While the scourge of the humble badger, Charles proved to be a stalwart ally of more exotic specimens including the Patagonian toothfish and the albatross. As well as his interest in alternative medicine, Charles took an interest in the redevelopment of certain hospitals. In 2005, he wrote to then Heath Secretary John Reid expressing his interest in developing an old asylum in Sunderland into a hospital. In his various letters on agriculture, the Prince displays a deep knowledge of the industry as he lobbied for fairer treatment of farmers by supermarkets. Labour MP Paul Flynn called the Prince the “the lobbyist supreme in the land,” arguing his opinion should not count more than anyone else’s. “They show he is putting forward a whole variety of views – including many bad science views and others that should have no more weight than the man down the pub,” said Flynn. Former Foreign Secretary Jack Straw, who was the architect of the Freedom of Information Act under which the Guardian newspaper originally tried to access the letters, said the courts had overstepped their authority by releasing them. As the letters were revealed, a royal spokesperson said: “The publication of private letters can only inhibit his ability to express the concerns and suggestions which have been put to him in the course of his travels and meetings.